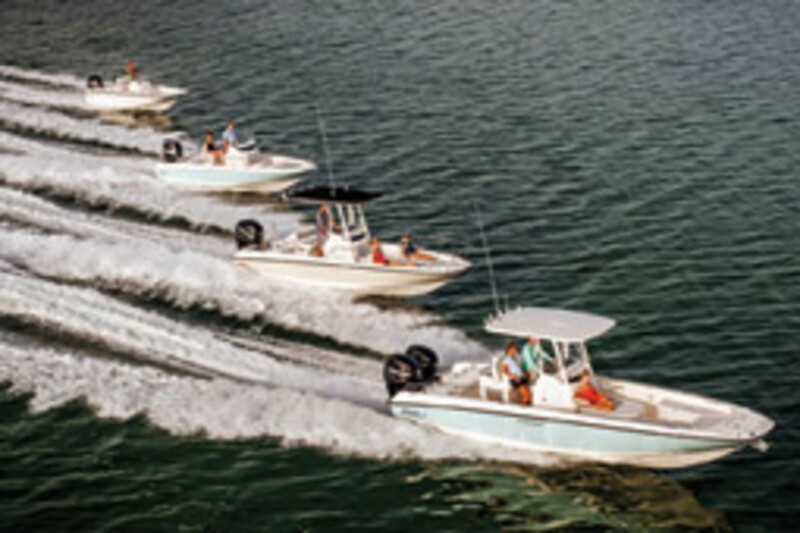 Boston Whaler has added two models to its Dauntless fleet: the 210 and 240. 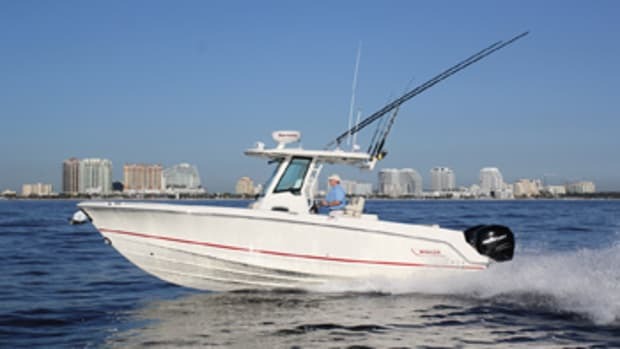 These boats aim to deliver the goods for multiple inshore boating activities better than any previous Whaler center console, says Lenn Scholz, vice president of development and engineering. 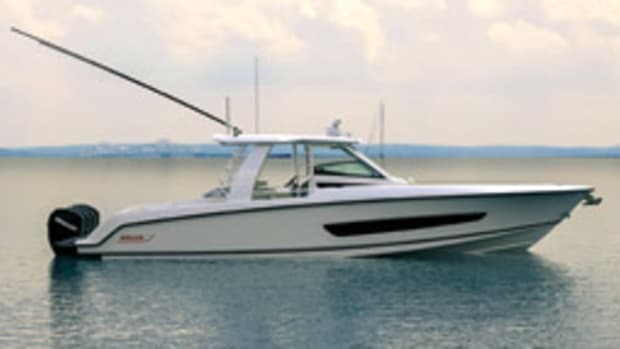 Whaler over the past two years has been working to build an all-new Dauntless family, starting with the 17 and followed by the 270 Dauntless earlier this year. 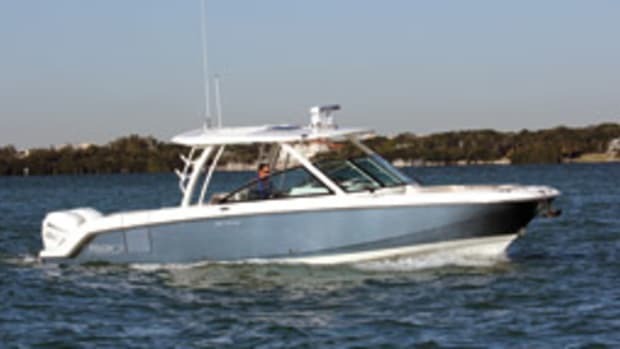 Some examples of the 210 and 240’s versatility include an “All-Activity Tower” mounted over the outboard, with a ski pylon and storage racks. (Rod holders can be added.) 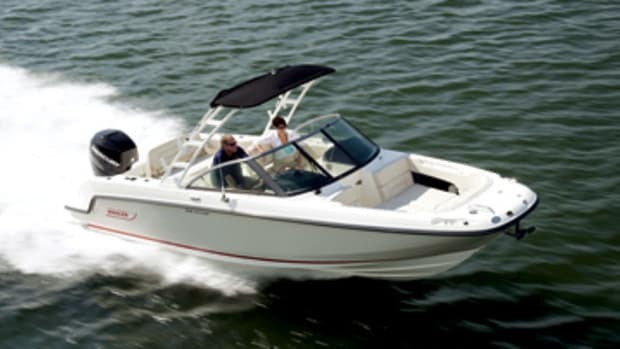 The transom quarters are canted outboard to direct swimmers away from the prop. 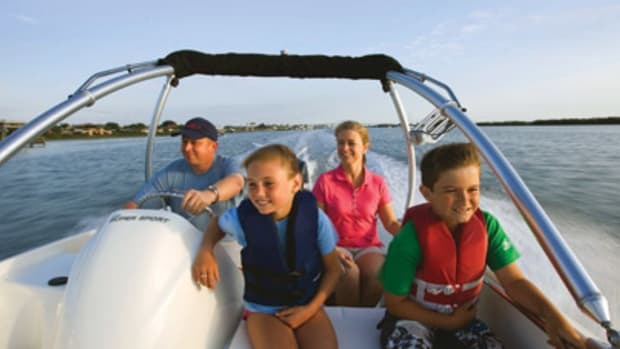 Anglers will appreciate the optional reversible pilot seat with a 25-gallon live well. There’s also a forward console live well. 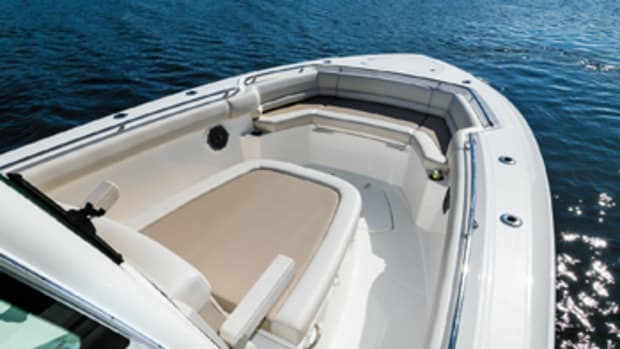 Whaler has designed clever seating solutions throughout, such as the 240’s flip-up backrests, which provide two forward-facing bow seats. The pilot seat’s four-position backrest can be set for forward or aft seating and leaning-post duties. 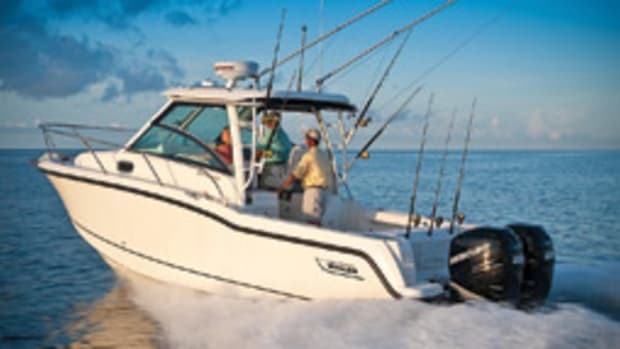 The 210’s full-beam forward fishbox/storage locker stands out as one of its valuable features, Scholz says.